Styling Tips and Tricks from Hair Mechanix Great Cuts! We here at Hair Mechanix want you to be in on the loop on the coolest and newest hairstyles and products that help you get them. We found a few of the hottest styles out there right now and how you can get them. You can get this slicked back style too ya know. For this Hairstyle we recommend using Redken’s Maneuver Wax. This product gives you a pliable hold with a natural finish but still leaves you with a moldable texture. You would take a small amount of product (about the size of a nickel) and evenly spread in your hands. TIP: For stubborn hair that wont get the body you need it to, try using a round brush and hair dryer to give you more volume. Simply blow dry your hair in the opposite direction it grows then apply product. When your hair is wet, take and use a blow dryer and a round brush to dry and volumes your hair. When your hair is dry, take a small amount of Redken Firm Grasp Texturizing Hair Clay and run it through your hair to finish this “Fresh off the Beach” look. Tip: When getting product from a container try inserting your finger and flicking out to remove the product as opposed to digging in. This will keep the prod it out of your fingernails. If you want your beard to have a clean put together look or style you can always use a little bit of Redken Work Hard Molding Hair Paste. 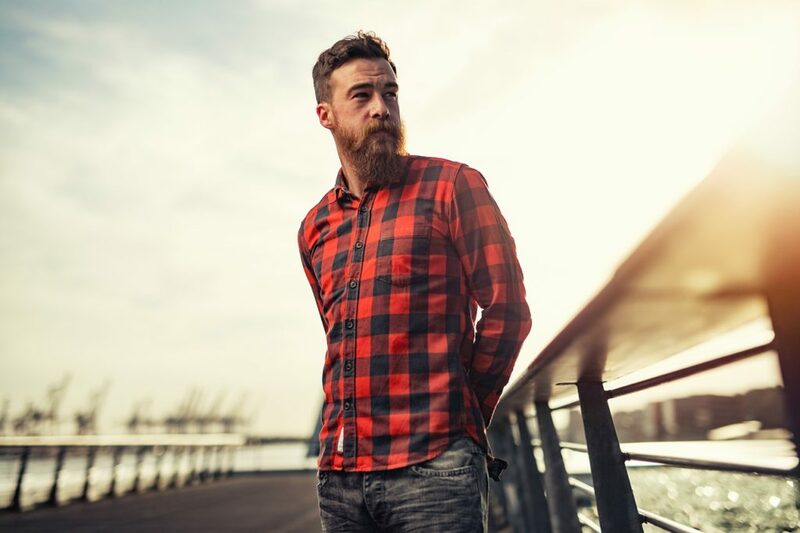 You can use this product to create a clean strong hold for your beard’s style. Some times all you really need though is a good cut, which we can do! Call your local Hair Mechanix today and book your appointment or visit one of our great locations! Tags: Hair Products, hair styles, Hair styling tips, Tips From The Professionals!